There is a lack of awareness of what quality and excellence are and their potential for communities and society in general. This is a great loss that is even more amazing when we see many members of a community working in organisations that embrace excellence as the way they do business in achieving quality outcomes. Yet it seems that very little of this excellence leaks out into community and everyday life. 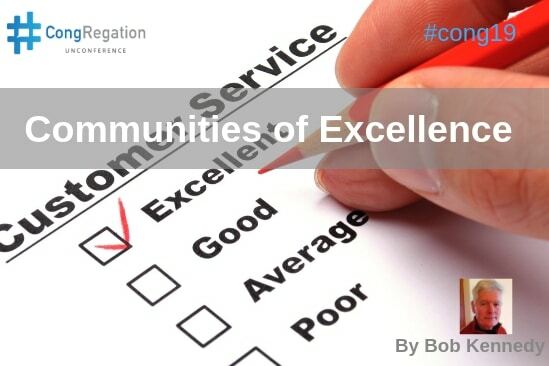 Communities are not organisations and we need new images and vocabulary that facilitates everyone in a community to appreciate quality and practise excellence. This paper draws from a four-year primary research study of the village of Grange Co. Sligo which sought to bring organisation based quality principles into all aspects of community life. The presentation of findings will arm you with the vocabulary, images and confidence to bring the concepts of quality and excellence into your life and your community. A universally acceptable and readily understood definition of quality. An explanation of excellence as the desired way of achieving a quality outcome. A graphic and terminology describing fit for purpose human activity systems. As we all become more aware and demanding of a quality outcome we must deepen our understanding of what it is and how it is achieved. 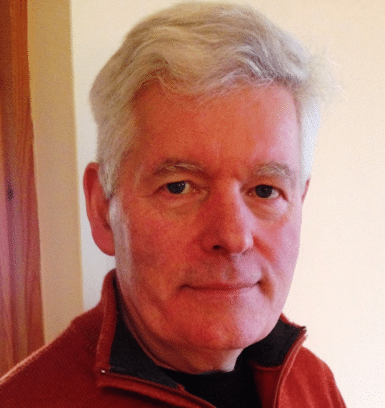 Bob Kennedy is a retired lecturer from the Institute of Technology Sligo. His career in industry and academia was primarily concerned with manufacturing, mechanical engineering and design. From the mid 1990s the emphasis shifted to Quality and particularly Quality Management Systems in manufacturing industry. The rest of Bob’s career was spent exploring how other sectors of society could benefit from the adoption of these quality principles. This culminated in a four year research project in the village of Grange, Co. Sligo to explore the practicalities of practising ‘quality’ at all levels of society. The challenge was to match the many endeavours going on in the community with the most appropriate and beneficial quality tools and techniques used in industry. The outcome of the research unlocks the potential of quality and excellence for every individual and group in any community. Every community regardless of its size is a hive of activity. It will have families, clubs, societies, shops, businesses etc. All are pursuing their own unique endeavours but all share a common desire. They all want to succeed. They all want to achieve a quality outcome. Unfortunately, few if any will have the vocabulary, skills or resources to achieve this in a harmonious way. Firstly, they will find it difficult to agree on what is a quality outcome. Then of course there is the problem of how it should be achieved. Finally, they will have little appreciation that they are part of a system that will either facilitate or frustrate them depending on its makeup. These impediments can be overcome if we can embed the following mantra into the psyche of every individual, interest-group, industry and institution in the community. Communities who embrace this mantra will become known as ‘communities of excellence’ communities where excellence is practised. Few people would complain about living in such a community even if they didn’t have a clue what excellence entailed. The challenge is to unlock the mantra’s potential using terminology and images that everyone in a community can relate to and encourages them to be brave and experiment with it. This paper draws from a four-year primary research study based in the village of Grange Co. Sligo, Ireland which sought to bring organisation based quality principles into all aspects of community life. But communities are not organisations and new images and vocabulary were needed to facilitate everyone in a community to appreciate quality and practise excellence. To achieve quality outcomes we must practise excellence and maintain systems that are fit for purpose. This is a legitimate question for anyone wishing to achieve some purpose. Such a person or group of people are engaged in purposeful activity. This activity might be the setting up of a group or the provision of some service. Regardless, they all want a quality outcome. So what is a quality anything? What is a quality restaurant? What is a quality leisure group? Quality can be a very vague concept. Yet we all know it when we see it or even more readily when it is missing. The vague nature of quality can sometimes lead to the notion that quality is whatever you think yourself. This is how real life at community level sees quality and its ambiguity is not very helpful. We must empower people to move their appreciation of quality to a more structured level. All of us would agree that a quality outcome is achieved when the right things are done right. This interpretation helps us when grappling with quality as it applies to: childcare, restaurant or leisure group? It’s liberating as everybody now knows what quality is as it applies to anything or to any activity. A quality outcome is achieved when the right things are done right. Research outcome #1: A definition of quality that everybody can relate to. A quality outcome is achieved when the right things are done right. Excellence was described earlier as the methodology for achieving a quality outcome. This is much more complex than quality since it is the alpha and the omega of quality. Excellence helps us flesh out our appreciation of a quality outcome and then makes it a reality for us. It is a methodology that facilitates our definition, realisation, delivery and evaluation of a quality outcome. Excellence creates the culture, the synergy that supports the emergence of a quality outcome. Look again at our definition of quality “A quality outcome is achieved when the right things are done right”. A cursory examination of this definition will solicit two obvious questions. Q1: Who decides what is the right thing to do? Q2: Who decides how it should be done? Research outcome #2: Excellence as the methodology for achieving a quality outcome. Excellence is an evolving methodology for achieving a quality/better outcome. It is based on voluntary on-going dialogue and agreement between the creators, consumers and complementors in the activity system, who define, realise, deliver and evaluate dynamic emerging expectations in an enlightened, effective, efficient, ethical, elegant and enjoyable manner. 3. Complementors [regulators, interested parties etc.]. No one category can decide. These 3Cs must voluntarily engage in dialogue and agreement as they define, realise, deliver and evaluate dynamic emerging expectations. Expectations that they accept will change. Finally, they do all this in an enlightened, effective, efficient, ethical, elegant and enjoyable manner. Practising excellence is not easy for any individual or group as most want to rush into activity and get things done. They do not want engagement or dialogue which they perceive as being problematic and time wasting. They effectively think they know best and should be allowed get on with it. But they are wrong. Excellence isn’t easy but it’s the right way to achieve a quality outcome. It takes all three categories of client to practise excellence as well as a fit for purpose system. It takes a system to practise excellence. Obviously excellence cannot exist in a vacuum it needs us as creators, consumers and complementors to make this theory a practice, a way of doing things. Put another way excellence needs a fit for purpose system to adopt and practise it. What does a ‘fit for purpose system’ look like? When a group of people come together for some purpose i.e. to achieve any task they can be described as a purposeful complex adaptive system. Figure 1 gives us an image of such a system which is fractal in nature applicable to all levels of society and complexity: individuals, interest-groups, industries and institutions and indeed entire communities. It is a surprisingly simple system of four elements: Context, Climate, Clients and Culture that operate in a dynamic flux of inter-dependency.